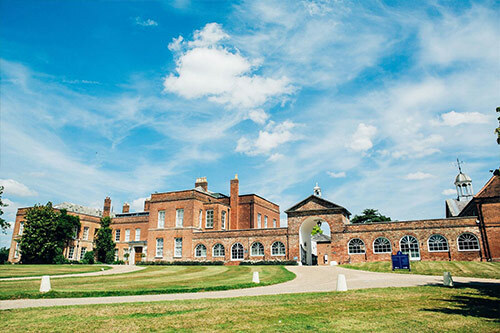 Steeped in history and set within 500 acres of stunning Essex parkland, Braxted Park offers all the modern amenities you would expect from a high level conference and event venue, while retaining the elegance and character of one of the most beautiful country estates in the East of England. Our experienced team can cater for events of all sizes, from small off site meetings to large conferences and team building facilities. Inside we have capacity for up to 400 guests, meanwhile our beautiful parklands and gardens can facilitate events of up to 4000 people, whether for conferences, team building activities, unique hospitality activities and celebrations. 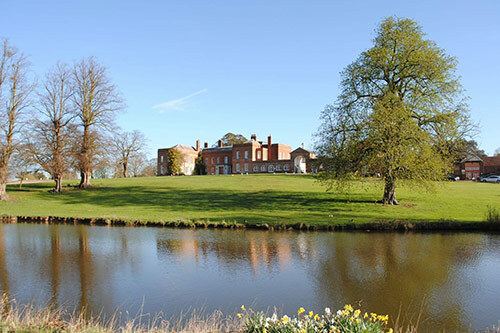 Braxted Park is also the home of The Cookery School at Braxted Park, a fantastic venue for a team building activity that your team will never forget. Time in the kitchen is sociable, collaborative and fun. Your team will learn new skills, cook with our chefs and prepare a feast you can all enjoy together. Situated in the mature grounds of the Braxted Park Estate is a 9 hole golf course, recognised as one of the best in the county. 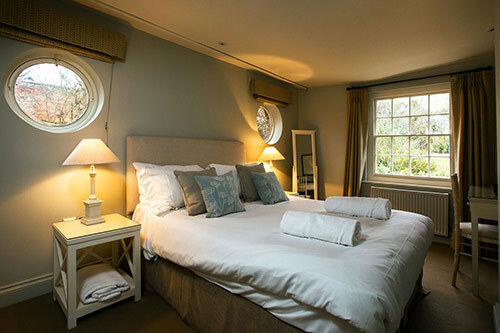 We also have onsite, en-suite accommodation available for overnight stays, with breakfast served the following morning. 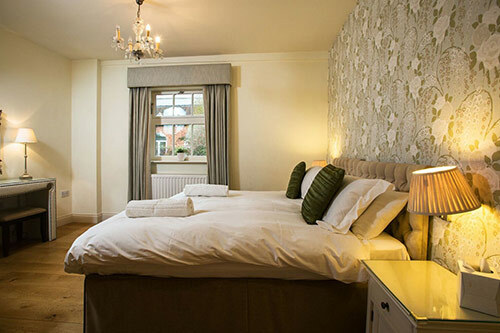 Braxted Park is only five minutes from the A12, 35 minutes from London Liverpool Street and a short drive from Stansted Airport, Central London is driveable in around an hour. We tend to start the week with a residential workshop group arriving on Monday morning and staying with us until Tuesday afternoon. Corporate groups often look for a piece of fun team building activity for the afternoon of day one, we work with Off-Limits to find suitable solutions for our clients. We have over 5 miles of private roads and tracks within the famous red walls of Braxted Park, so The Segway Treasure Hunt is a very special piece of activity here. On Wednesdays we often have a group on our state-of-the-art Cookery School. HD cameras help you follow the chef’s every move whilst we keep a fun and informal vibe and the odd glass of wine too! Towards the end of the week, we can have a huge AGM for a multinational corporation. We can seat up to 400 guests theatre style, kicking off with bacon rolls and ending with a slice of cake – we really do pride ourselves in our world class guest experience. 3. Would you say that the rise in the use of the facilities has been more for team building / conferences or weddings? We have a lovely balance of weddings at the weekend and ‘everything else’ in our Monday to Friday business model. 4. How do you strike a balance between being a corporate venue and a wedding venue? We appreciate there are a number of significant differences between the two types of event, with each corporate booking having its own unique requirements. It is for that reason we have a team dedicated to taking care of our corporate bookings, who will work with companies to ensure Braxted Park can cater for all their needs. 5. What has been the most significant change in the industry that has had a positive impact on the venue? Significantly for us we have seen a rise in the number of clients wanting to meet and talk to their customers in person and understand the value of this to their business. Meeting and bonding with clients is a sure-fire way to grow your relationship and build new ones. It’s for that reason we have seen a large increase in the number of companies looking for an external meeting venue, and for activities to bring them, their team and customers together in a fun yet constructive manner. 6. What atmosphere does this venue portray? 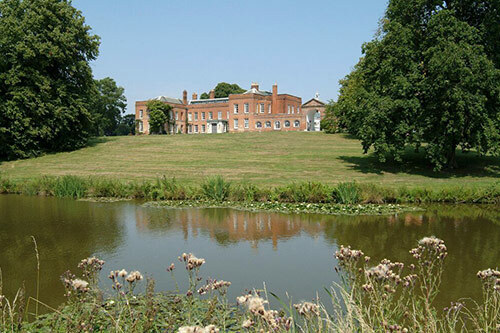 With the stunning Queen Anne style house at the centre of the estate, surrounded by landscaped gardens and parklands, Braxted Park is a stunning country house setting, perfect for those companies wanting to portray a high-end, quality image. However, while perfect for formal events, we also offer a very relaxed atmosphere too, great for team-building events and parties. Our gardens are the ideal setting for summer barbecues, and The Pavilion is a great space for exhibitions, conferences and parties. 8. 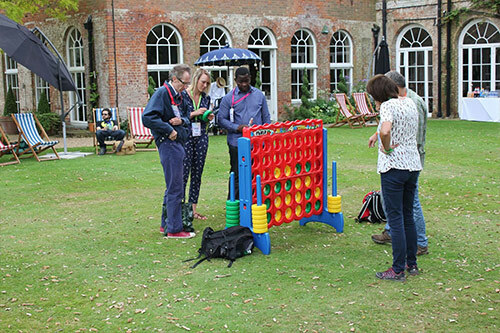 What is Braxted Park’s most popular and favourite team building event? This is a tough one. Really our most popular activity, aside from the amazing Bake-Off Challenge in the Cookery School, are our outdoor events that we hold with Off-Limits, such a go-cart driving, archery, pistol shooting etc. We do love our country pursuits! 9. Is there anything coming up soon that is exciting and new for Braxted Park? We are now hosting a number of shared company events both for their summer parties and also for the more traditional Christmas parties. I am encouraging anyone who works with a small company, say anywhere up to 60 people, to get in touch and see how they can be part of our incredible Summer and Winter shared parties. Our summer Ascot themed event is definitely one to watch out for. 10. What are some of the biggest challenges at the venue? 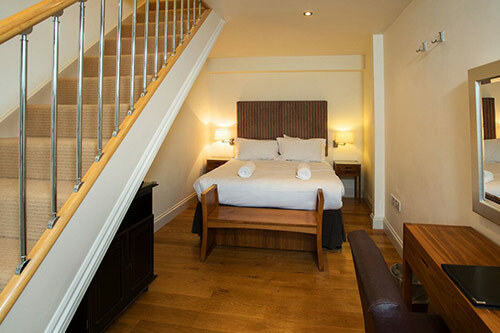 We have 21 bedrooms onsite, but when companies require additional accommodation we often work with our sister hotel just 5 mins down the road. So I guess shuttle buses are a ‘thing’ as there’s always someone who’s late! 1. How much corporate space is there – conference rooms, offices etc? 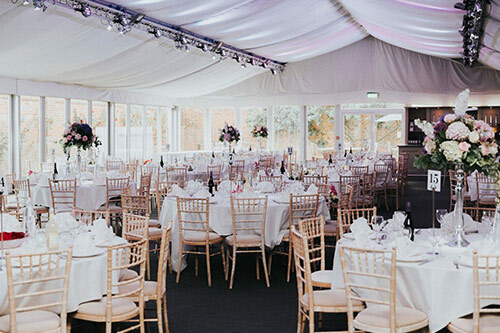 We have a number of spaces available, from our Dining Room, Orangery and Ballroom for small events between 10 and 150 people, through to our Walled Garden Pavilion which can host up to 400 people. We also have the Cookery School at Braxted Park and a stunning 9 hole golf course, perfect for corporate events and team building. 2. Do you offer catering facilities? Yes, we have onsite catering facilities for all sizes and types of events. Use our catering team, or bring in your own to use our fully equipped working kitchen. 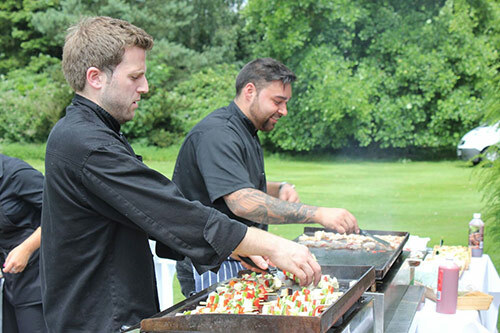 We can even host barbecues and summer picnics in the grounds of Braxted Park. We also have a fully stocked bar and cellar with some of the best value wines available. 3. Is there space for outdoor team building activities? Yes, our 500 acres of parklands and gardens are the perfect setting for team building activities. 5. Is there parking available on site? Yes, free parking available on-site.